Human communities had lived in the Cape Peninsula and Western Cape long before the beginning of the Christian era, surviving by hunting, fishing and gathering edible plants and roots. They were the ancestors of the Khoisan peoples of modern times – the Bushmen (San) and the Hottentot (Khoikhoi). The Bushmen were hunter-gatherers who lived in small, loosely knit groups of about 20 persons. They were highly mobile on account of their dependence on game, and for the same reason widely dispersed territorially. The Hottentot, in comparison, were mainly herders along the Orange River, the boundary river between South Africa and Namibia, and the coastal belt stretching from Namibia around Cape Point to the Eastern Cape. Both groups were thought to have migrated southward, ahead of the Bantu-speaking peoples whose ancestral home lay well in the north. Before the Dutch came to the Cape, the Hottentot conducted trade with their Bantu-speaking neighbours in cattle and dagga (marijuana) and, to a lesser extent, iron and copper. After the arrival of men from Europe, they traded their cattle for tobacco and began to act as brokers in developing trade between the Europeans and the Xhosa tribes to the east. The European advance eventually cost the Hottentot their land, stock and trade. Twice defeated in battle in 1713 and 1755, and decimated by smallpox, they ultimately lost their identity as a distinct cultural group and intermarried with slaves and others to form the Cape Coloured people. From the time of the first recorded discovery of the Cape, seafarers looked forward to the sight of majestic Table Mountain, this unmistakable beacon of promised hospitality along one of the busiest arteries of world commerce. However, the sudden knowledge that the Cape existed was not immediately followed by settlement. 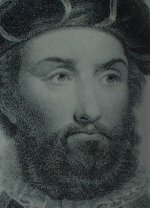 In 1487, the Portuguese sailor Bartholomeus Dias set out to find a sea route to the East. Sailing along the west coast of Africa, his ships encountered a ferocious storm, which drove them out to sea and away from the coast. Once the storm had passed they resumed their journey in an easterly direction, expecting to reach the coast, their guideline, again soon. After a number of days’ sailing without any sign of land, they changed direction and headed north, eventually landing at the mouth of the Gouritz River on the east coast of Africa on 3 February 1488. Dias and his crew were the first Europeans on record to round the Cape, albeit unwittingly. It is widely believed that it was Dias who named the peninsula Cabo Tormentosa (Cape of Storms). This name was later changed to Cabo da Boa Esperanca (Cape of Good Hope) to signify that the rounding of the Cape brought hope that a sea route to the East was possible. Fully ten years later, Vasco Da Gama completed the sea route from Portugal around the Cape to India, thus finally opening up the trade route between Europe and the East. 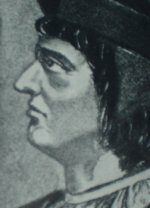 Antonio de Saldanha was the first European to land in Table Bay. He climbed the mighty mountain in 1503 and named it ‘Table Mountain’. The great cross that the Portuguese navigator carved in the rock of Lion’s Head is still traceable. In 1580, Sir Francis Drake sailed around the Cape in The Golden Hind and the ruggedness and breathtaking beauty of the peninsula inspired him to write – “This Cape is a most stately thing, and the fairest Cape in the whole circumference of the earth”. One hundred and sixty years after it was first discovered, the Peninsula was still a part of primeval Africa, almost unaffected by the tide of commerce that ebbed and flowed around its southern shores. Outward bound from Europe, the early navigators were too eager to reach the East. Homeward bound, they were too impatient to reap the profits in the European ports. Passing ships would leave postal matter under inscribed stones for other ships to find and carry forward. These so-called post office stones are still found in excavations and there is an interesting collection of them in the South African Museum in the Company’s Gardens in Cape Town. In 1652 the Dutch East India Company, yielding to repeated petitions and recommendations from their ships’ officers, at last decided to establish a post at Table Bay. They sent three small ships, the Dromedaris, the Reijger and the Goede Hoop under the command of 23-year-old Jan Antony van Riebeeck to establish a stronghold on the shores of Table Bay. Their objective was to grow vegetables and fruit, barter for livestock with the Hottentot tribes and build a hospital and a sanctuary for the repair of ships. Jan van Riebeeck’s first fort, subsequently replaced by the existing Castle of Good Hope, was Cape Town’s first building. The seventeenth century was the Golden Age of the Dutch Republic. Its merchants were the most successful businessmen in Europe; the Dutch East India Company was the world’s greatest trading corporation and had sovereign rights in the East and the Cape of Good Hope, and by mid-century was the dominant European maritime power in southeast Asia. Its fleet, numbering some six thousand ships was manned by perhaps 48 000 sailors. The Cape became an outstation of the Dutch East India Company’s eastern empire, based in Batavia in Java, and fell directly under the Governor-General of the Indies. From 1672 the Cape had a Governor of its own, but remained under eastern control until the end of the Company period in 1795. From Table Bay the Cape Peninsula extends southward, a long narrow mass of highlands varying in width from three to seven miles, until it tapers to the high narrow promontory of Cape Point, nearly 48 kilometres away. Only in the neighbourhood of Table Bay and along the eastern flank of the mountains as far as False Bay were there large areas of relatively level lowland favourable to early settlement. The Cape Flats, which links the Peninsula to the mainland of Africa, was then covered by sand dunes and dune vegetation. Hollows between the dunes were flooded every winter by the rains. Some of the larger ones, such as Princess Vlei, persisted as lakes throughout the year. These were the haunt of the hippopotamus, as the name Zeekoevlei still reminds us. The wagon road used by the woodcutters to the tree-covered mountain slopes of Newlands and Kirstenbosch was the first road to be opened by the European settlers. The patches of forest in Orange Kloof were preserved a little longer by their inaccessibility, but the woodcutters were soon at work in the moist valley bottom below. From the nearby anchorage near Orange Kloof, which was named Hout Bay (Wood Bay), the wood was shipped around the Mountain to Table Bay. The forests of the peninsula, never extensive, lasted barely a generation. Though trees now cover large areas of the mountain slopes once again, they are mostly exotic species. Trial crops of wheat, oats and barley succeeded admirably on the deep, loamy soils of the Liesbeek River valley, and this led to the Company’s grain-farming enterprise being transferred there in 1657. A large granary, De Schuur, was built near a round grove of thorn trees known at first as Rondedoornbosjen (modern Rondebosch). The residence Groote Schuur, reconstructed in 1896 on this site, is a beautiful example of old Cape architecture. It was formerly the residence of Prime Minister Cecil John Rhodes and was bequeathed by him as the official residence of the Prime Minister of South Africa. To supplement the Company’s crops, a number of its servants were given their discharge and settled as independent farmers along the valley in the area now known as Rondebosch and Rosebank. Van Riebeeck himself acquired an estate further upstream, a wooded hillside known as Bosheuvel (now the Bishopscourt Estate) where, in 1658, he established the first extensive wynberg or vineyard in South Africa. 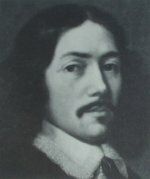 Van Riebeeck handed over the government of the Colony in 1662 to Zacharias Wagenaar and returned home to his native land. During Wagenaar’s term of office a site was chosen for a stronger fortress. In 1666, the foundation stones of the Castle of Good Hope were laid. Its plan was pentagonal and the Company garrisoned its soldiers there from 1674 onwards. In about 1667 the Company established a new cattle-post on the other side of Table Mountain, in the Hout Bay valley. Simon van der Stel, who arrived as Governor in 1679, was destined to exercise marked influence on the Colony for the next 20 years. He enlarged and beautified van Riebeeck’s garden and built a slave lodge (today the Cultural History Museum) at the entrance. It was during Simon van der Stel’s governorship that the Huguenots, who had been driven from France by the revocation of the Edict of Nantes, arrived from Holland. There were some 200 of them, so small a number that they were quickly absorbed in the Dutch population. The lands given to Simon van der Stel by the Dutch East India Company, stretched from Muizenberg to the Steenberg Mountains, right across to Wynberg. He turned this vast region into rich farmland, planted some eight thousand trees and designed and built the stateliest of the Cape’s historic mansions, Groot Constantia (named after his wife, Constance) in 1685, where he lived until his death in 1712. Groot Constantia remains one of the most favoured destinations for visiting tourists to the Cape. The Estate gave its name to the Constantia area, and its wines won the praise of even such connoisseurs as Kings of France. Simon van der Stel is also the founder of Stellenbosch, Drakenstein and Franschhoek, and is responsible for the construction of many of the famous homesteads in the Cape. More farmers soon settled in the Constantia area, along the little streams pretentiously named the Spaanschemat and Diep Rivers and on the soils so well suited to the vine. West of the mountains, Kronendal in the Hout Bay valley was granted to another enterprising settler in 1681 and a wagon road into the valley was opened over Constantia Nek twelve years later. Simon van der Stel’s eldest son, Willem Adriaan van der Stel, who succeeded him as Governor, added a museum to the gardens, and erected a lodge (now Government House) for the reception of visitors. He built Nieuweland (on a site now occupied by Newlands House) where he started a new garden. Later it replaced Rustenburg as the country residence of successive Governors and its pleasure gardens became almost legendary in the writings of eighteenth century visitors to the Cape. Willem Adriaan van der Stel also developed the Vergelegen Estate, where he built a house and planted over 500 000 vines, large orchards and corn lands. He stocked the farm with 800 cattle and 10 000 sheep. The fact that the Governor traded his products with ships in the port brought him into conflict with other farmers and eventually led to his recall to Holland and confiscation of his estate. The Dutch East India Company, which had reached the high point of its power during the governorships of the van der Stels, began to decline, chiefly because of English and French competition in the eastern markets. In 1737 eight ships were wrecked in a single storm in Table Bay, with a loss of over 200 lives. In 1773, the Dutch East Indiaman The Jonge Thomas drifted into the breakers during a violent gale. Although 200 men were aboard, no effort was made by the Company’s officials to rescue them. Enraged by this callousness, an old man, Wolraad Woltemade, borrowed a horse and rode into the pounding surf towards the doomed vessel. Eight times he made the journey and saved 14 men. He drowned during his last attempt. Ultimately the Company was driven to establish another winter port at Simon’s Bay (modern Simon’s Town). Named after Simon van der Stel, who surveyed the bay in 1657, ships were safe here under the lee of the Peninsula highlands. Nowadays in the 21st century, Cape Town has evolved quite a bit and is fully embracing technology. All the latest gadgets can be found throughout the city including RFID at supermarkets giving you the ultimate shopping experience displaying important information about products and promoting the latest specials.